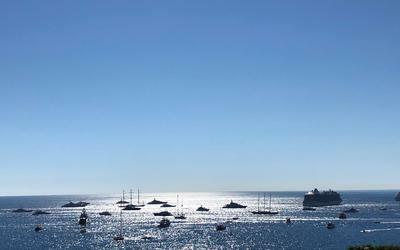 The Hotel Port Palace Monaco is located on Port Hercule in the heart of the Principality. It fronts the Rocher where you can find the Prince's Palace, the Government, the Oceanographic Museum and the Cathedral. 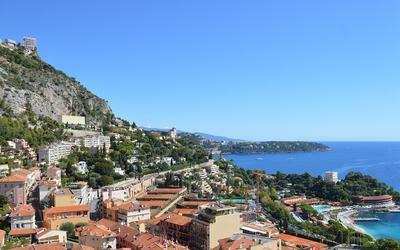 It is also just below the Place du Casino, the Cardio-Thoracic Center of Monaco and the Institute of Sports Medicine IM2S. All rooms at the Hotel Port Palace overlook the sea and feature luxury amenities such as Jacuzzi and 42-inch plasma. Gastronomy is an essential element in this hotel and restaurant Mandarine will give you proof. For an event or just for a meal, it is up to 140 seats or 250 people for a cocktail waiting for you. If you're a fan of Formula 1, the Port Palace Hotel is positioned on two axes of the Monaco Grand Prix : Casino rise and exit of the tunnel. A great place to watch the race. For all your moves in Monaco, remember to book a limousine with our partner. This room provides a view of yachts and is equipped with a satellite TV and a minibar. 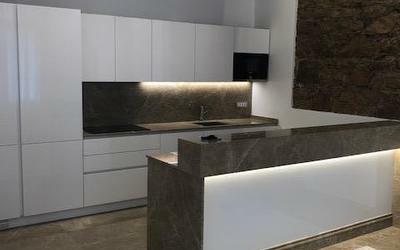 It also has a private dressing closet and an en suite marble bathroom with a spa bath and a walk-in shower. This room provides a view of the harbour and sea and is equipped with a satellite TV and a minibar. They also have a private dressing closet and an en suite marble bathroom with a spa bath and a walk-in shower. 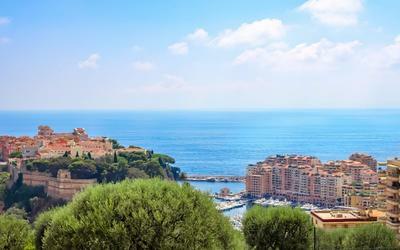 The hotel Port Palace Monaco is situated on the port Hercule, quai des Etats Unis, in the center of Monaco. to get there you must follow indications to reach the Port. Coming from west, cross the harbour and in front of Sainte Devote church, go on the right. The hotel is at 100 meters. Coming from the beach, pass under the Hotel Fairmont Monte Carlo tunnel in direction of the harbour. The hotel is nearly after 200 meters after the exit of the tunnel. Arriving from the Casino of Monte Carlo, get Avenue d’Ostende, in front of the church turn left on the traffic circle. Pass in front of the hotel Miramar. The hotel is 50 meters after. If you choosed to take the helicopter to come to Monaco from Nice Airport, to reach the hotel you can take the free shuttle, a taxi or book a limousine .